I have learned a lot from him of selling our house, how it works and he is a nice guy. A vendor was selling a 3 bedroom House and found Tim via OpenAgent to sell her property. The experience was quick. He was able to sell the property in 2 in a half weeks only. Though there was a bit of communication issues sometimes. Just a bit of him getting back to me but he was professional, well-dressed and gave me reports after every open inspections. A vendor was selling a 4 bedroom House and found Tim via OpenAgent to sell her property. 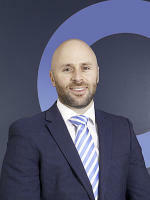 Tim McInnes has sold 54 properties in the last year. They’ve recently sold properties in Evatt, Mckellar, Belconnen, Higgins, Florey, Holt, Spence, Latham, Acton, Ngunnawal, Scullin, Macgregor, Richardson, Murrumbateman, Nicholls, Weetangera, Hawker, Melba, Rivett, Aranda, Calwell, Casey, Flynn. A recent sale was a 3 bedroom house at 30 Sheehy Street, Evatt. Their highest sale in the last 12 months was a 5 bedroom house in Weetangera for $1,150,000. Tim McInneswill get back to you shortly. What can Tim McInnes help you with? Looking for more agents in belconnen?